You re going up the Valley. Black didn t know its name, but he knew it lay deeper and higher than any other place Americans had ventured. You had to travel through a network of interlinked valleys, past all the other remote American outposts, just to get to its mouth. Everything about the place was myth and rumor, but one fact was clear: There were many valleys in the mountains of Afghanistan, and most were hard places where people died hard deaths. But there was only one Valley. It was the farthest, and the hardest, and the worst. When Black, a deskbound admin officer, is sent up the Valley to investigate a warning shot fired by a near-forgotten platoon, he can only see it as the final bureaucratic insult in a short and unhappy Army career. What he doesn t know is that his investigation puts at risk the centuries-old arrangements that keep this violent land in fragile balance, and will launch a shattering personal odyssey of obsession and discovery as Black reckons with the platoon's dark secrets, accumulated over endless hours fighting and dying in defense of an indefensible piece of land. 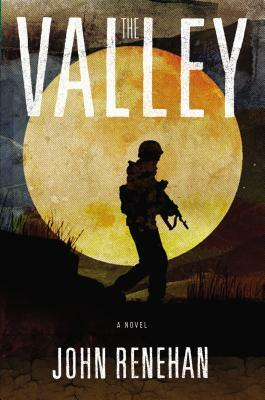 The Valley is a riveting tour de force that changes our understanding of the men who fight our wars and announces John Renehan as one of the great American storytellers of our time. John Renehan served in the Army s Third Infantry Division as a field artillery officer in Iraq. He previously worked as an attorney in New York City. He lives with his family in Virginia. This is his first novel."